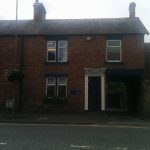 The Northern Compass: Counselling & Therapeutic Services is made up of an experienced team of therapists and counsellors. Richard S. Cave is the lead therapist. He will support you with any difficulties or issues you may be having. 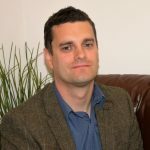 He is a Psychotherapeutic Counsellor, trained in an integrative approach, utilising CBT, TA, and Psychodynamics. This enables any treatment to be tailored to your own needs. We have extensive experience working within the NHS and Emergency Services. 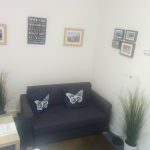 The Northern Compass has been providing private counselling to individuals and organisations for over 5 years. As such we have worked with a broad range of issues. These can range from the strain of everyday life and the pressures it brings to trauma and historic abuse which impact us deeply. All counsellors at the Northern Compass are UKCP or BACP Registered meaning that they are fully accredited, qualified and adhere to the standards and codes of ethics of the relative governing bodies. Your welfare is our priority. Making the decision to come for therapy or counselling can be a daunting experience. This is normal. Most people will feel anxious making the initial contact and attending the first appointment. That is why we provide a free initial phone consultation. It is an opportunity for you to speak with a therapist and discuss what matters most to you. You can ask any questions and find out more about the services available. 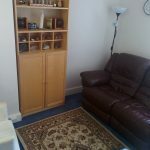 In this confidential and secure environment you will be able to decide if counselling is right for you at this time.